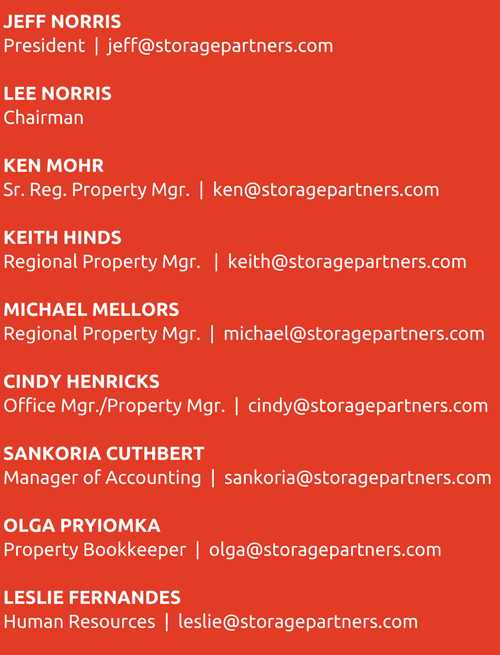 Storage Partners is a privately held division of Investment Development Corporation, based in Kirkland, Washington. Storage Partners focuses on providing professional 3rd-party management services as well as development, property repositioning and acquisition of self storage property in the Pacific Northwest. For any general questions, comments or suggestions for Storage Partners, we can be reached the following ways, or you can fill out the form below. To reach a specific store location, please call or e-mail that location directly.